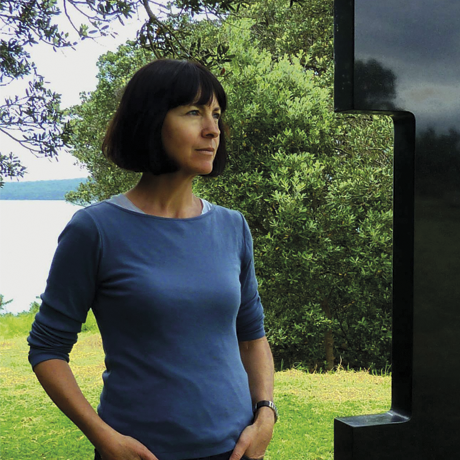 New Zealand artist Gill Gatfield is exhibiting a new monumental granite sculpture ’The Kiss’ at Sculpture by the Sea, Aarhus 2015 and is artist in residence at the Women’s Museum Denmark. Her work is exhibited internationally and held in collections in Europe, USA, Asia and the Pacific. Gill is a published author and member of Global Women, an organisation of women leaders. Her unique conceptual-abstract art practice navigates the realms of visual art, philosophy, politics, language and science. Gill will take us on a visual tour through her creative method - blending intuition and logic to make artworks that express both sensual and powerful qualities.